This is a multi-purpose case for storage and carrying things. 3 layer detachable design for more convenient use. 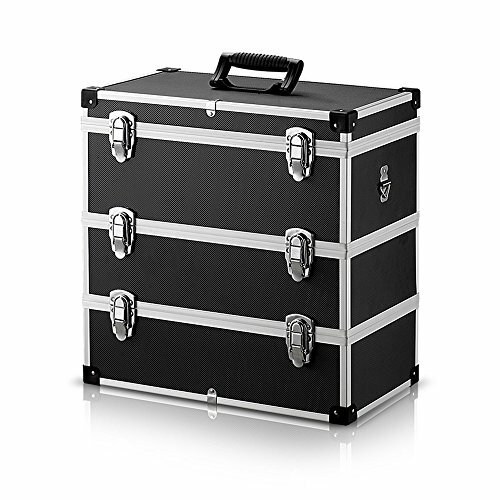 Prefect to use as tool box, garden box and carrying case with handle and strap. Black color with diamond pattern, quite cool. Excellent ABS body & aluminum edging, solid plastic wrapped corner, durable to use. Detachable 3 layer design, convenient to use. Comfortable handle and shoulder strap for easy carrying. Multi-use as tool box, garden box, fishing tackle, carrying case etc.